What Does Code P0826 Mean? OBD II Fault code P0826 is defined as “Up and Down Switch Input Circuit” on vehicles with manually shift-able automatic transmissions. Code P0862 is set when the Powertrain Control Module detects a malfunction in the electrical circuit(s) of the upshift/downshift switch, which works in conjunction with the transmission range correlation circuit. Design specifics on how manual gearshifts are done differ, with some systems using the selector lever, while others make use of push-button controls on the shift selector or steering wheel, but in all cases, the system allows drivers to manually shift gears on automatics. Activating the appropriate control will initiate either an upshift, or a downshift, with the signals being delivered to the TCM (Transmission Control Module) via CAN (Control Area Network) protocols, and parameters that depend on the mode (Normal, Economy, Sport, etc.) the transmission is at the time of the manual shift. All relevant components, such as the switch, wiring, connectors, and mode actuator form part of the circuit, most of which is built either into the console around the shift selector in the passenger compartment, or on, or near the steering wheel in some applications. The image below shows the general arrangement of the switchgear on a BMW E46 model. This image is for illustration purposes only, since the positioning of individual components will vary from vehicle to vehicle. In this case, the black, plastic unit with wiring leading out of it directly to the right of the aluminum shift selector lever contains most of the upshift/downshift system switchgear. What are the common causes of code P0826 ? Defective transmission mode selector switch. Defective control device (Shifter may be defective or jammed). System wiring harness may be open, or short circuited due to liquid spills, or broken/damaged wiring. Transmission Control Module may have failed, although this is exceedingly rare. 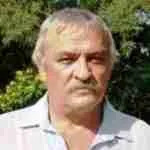 Make and model-specific causes are many and varied. Consult the repair manual for specific causes if none of the above possible causes are found. What are the symptoms of code P0826 ? The transmission may be in limp mode, causing harsh shifting. The torque converter lock-up function may be lost. In some cases, the over-drive warning light (where fitted) may be flashing. How do you troubleshoot code P0826 ? NOTE: A high quality digital multimeter capable of both volt and ohm readings, as well as a scanner or code reader, and a relevant repair manual are required items to diagnose code P0826 accurately, since almost every automatic vehicle made since the mid 1980’s is fitted with some form of computerized transmission control. Therefore, troubleshooting code P0826 can sometimes be tricky due to the fact that most, if not all systems are very sensitive to control voltages and electrical resistances. Moreover, a control/reference voltage or electrical resistance that works on one brand of vehicle may not work on another, which makes it necessary to have an accurate wiring diagram, and the exact required electrical values for the application being worked on ready at hand. Any good repair manual will list all relevant information regarding currents and resistances; alternatively, do an internet search for the relevant wiring diagram. Below are some general troubleshooting steps for code P0826, but bear in mind that these steps do not relate to any particular vehicle brand or model. Nonetheless, the basic troubleshooting steps for code P0826 are much the same for all vehicles, although the location, and arrangement of components and wiring (including wire color-coding) may differ from vehicle to vehicle. WARNING: In some applications the upshift/downshift controls are located either on the steering wheel, or on stalks behind the steering wheel. In these cases, it might become necessary to remove, or partially disassemble the steering wheel to gain access to system components/wiring, which could trigger the airbag in the steering wheel. Always follow the manufacturer’s instructions to deactivate the airbag before starting work on, or near the steering wheel. After confirming the presence of code P0826, inspect all wiring, electrical connectors, and switches visually for signs of damage, chafing, rubbing, and burning due to short-circuiting. Note that in cases where wiring is damaged, it is preferable to replace the entire transmission wiring harness to avoid problems with possible high resistances in repaired wiring. NOTE: After replacing the transmission harness, clear all fault codes with the scanner, and operate the vehicle to confirm that the problem had been resolved. Recheck the system to confirm that the fault code had not returned. If all wiring and associated components appear to be functional, use the wiring diagram to check all reference voltages, and ground signals/values at the upshift/downshift switch, as well as the mode actuator. This check usually requires that the ignition be “ON”, but without the engine running. If open circuits are found in the reference and/or ground circuits, disconnect all related control modules to prevent damaging them during testing, and use the ohm/voltmeter to check for continuity across all connectors to trace the location of the break in continuity. Once the site of the break is located, repair/replace the damaged sections and/or connectors as required. Retest to confirm continuity in the system, but make sure all controllers are still disconnected before retesting. NOTE: Be sure to consult the wiring diagram during retesting after repairing wiring/connectors to ensure that all obtained values are within the manufacturer’s specifications. Operate the vehicle to confirm that repairs were successful. Also check to confirm that the fault code had not returned. Leave the scanner or code reader connected to the system, and operate the upshift/downshift switch manually to confirm that all control voltages are within specifications. If the switch works properly, and all circuits and electrical values are within specification, the problem may be due to an intermittent fault in the Powertrain Control Module. NOTE: It is important to remember that PCM failures are relatively rare, and that replacing the PCM will require reprogramming. In some cases, intermittent faults can be extremely difficult to trace, and may not involve the PCM at all. In extreme cases, the best course of action may be to allow the fault to worsen before an accurate diagnosis can be made. If the upshift/downshift switch does not activate manually after repairs had been made to wiring and other components, replace the mode selector switch, and retest the system to confirm that it functions correctly, and that the fault code had not returned. 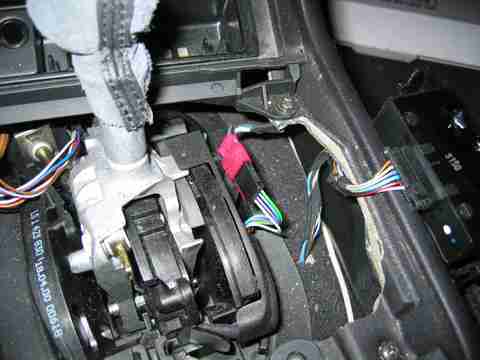 NOTE: If the fault persists after having repaired wiring/electrical connectors, or replacing the mode selector switch, the best course of action is to replace the upshift/downshift wiring harness. 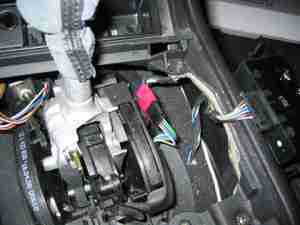 In fact, replacing the harness is preferable to repairing wiring, which could cause high resistances across repairs. P0825: Relates to a detected malfunction in the upshift/downshift switch/transmission range correlation range circuit. Consult the manual for model-specific causes. P0827: Relates to a low voltage/resistance value in the upshift/downshift switch circuit. Consult the manual for model-specific voltage/resistance values for your particular application. P0828: Relates to a high voltage/resistance value in the upshift/downshift switch circuit. Consult the manual for model specific voltage/resistance values for your particular application. NOTE: The above three codes generally require several failure cycles before any warning light(s) will illuminate. Also note that on many vehicles, the above three codes will never illuminate warning light(s). None found. Ask a question about P0826. I belive that is a los of continuity of power energy or diwn power voltage. I just got that code on My 2008 Rogue. How did you fix it? My son Has a 2009 Nissan Maxima with Multiple OEM codes: P0725, U1000, P1722, P0826 and P1701, and ABS U1002. He has been having truoble with the charging system. The battery is 4 months old, we took it back to where he bought it, tested it and said there is nothing wrong with it. I put a volt meter on after installing it and it said 12v. I started car and put volt meter on again and alternator was putting out 14v. I ran live diagnostics on the charging system with engine at 2000 RPM Voltage PID was 10.72 with lights off and 12.61 with lights on. my question is do I have a faulty Alternator that needs to be replaced, and do these troble codes are causing the alternator to malfunction? The meter also said No powertrain DTC or freeze frame.